I said that the twice-born must perform sandhyavandana with the well-being of women and other jatis in mind. I also explained why all samskaras are not prescribed for the fourth varna. Now we must consider the question of women, why they do not have such rituals and samskaras. Even though we perform the punyaha-vacana and namakarana of newborn girls and celebrate their first birthday, we do not conduct their caula and upanayana nor the other samskaras or vows laid down for brahmacarins. Of course, they have the marriage samskara. But in other rites like sacrifices the main part is that of the husband, though she (the wife) has to be by his side. In aupasana alone does a woman have a part in making oblations in the sacred fire. What reason did I mention for the fourth varna not having to perform many of the samskaras? That these were not necessary considering their vocations and the fact that they can work for the welfare of the world without the physical and mental benefits to be derived from the samskaras. If they also spend their time in Vedic learning and in sacrifices, what will happen to their duties? So most of the samskaras are not necessary for them. They reach the desire goal without these rites by carrying out their duties. "Svakarmana tam abhyarcya siddhim vindati manavah", so says the Gita. I have spoken to you about this earlier. Just as society is divided according to occupations and the samskaras are correspondingly different, so too there are differences between men and women in domestic life. Running a household means different types of work, cooking, keeping the house clean, bringing up the children, etc. By nature women can do these chores better than men. If they also take an active part in rituals, what will happen to such work? Each by serving her husband and by looking after her household becomes inwardly pure. In truth three is no disparity between men and women, nor are women discriminated against as present-day reformers allege. Work is divided for the proper maintenance not only of the home but the nation on the whole; and care has been taken not to have any duplication. There is no intention of lowering the status of any section in this division of labour. The body, in the case of certain people, is meant to preserve the mantras and there are samskaras which have the purpose of making it worthy of the same. Why should the same rituals be prescribed for those who do not have such tasks to carry out? Glassware to be sent by railway parcel is specially taken care of since it is fragile. Even greater care is taken in dispatching kerosene or petrol. If the same precautions are not taken in transporting other goods, does it mean that they are poorly thought of? Astronauts are kept in isolation before being sent up in space and after their return. Mantras have their own radiation that is even more powerful than what is found in space. If you appreciate this fact, you will understand why Brahmins are separated from the rest and special samskaras prescribed for them. 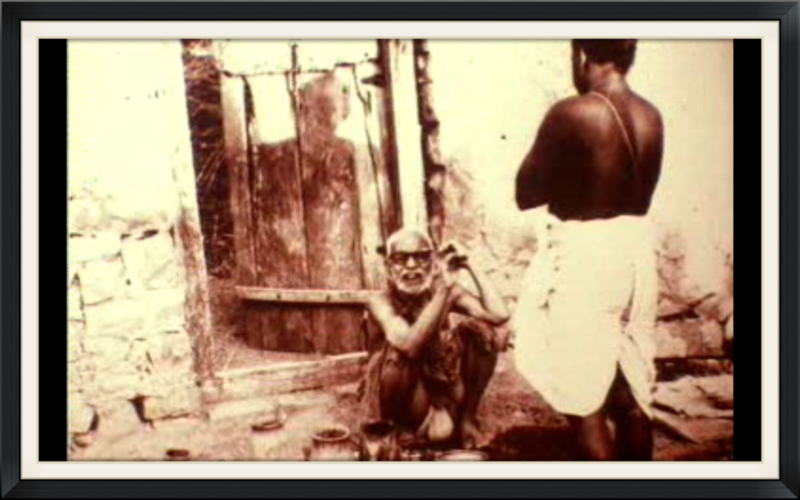 The body of a Brahmin (male) is involved in the nurturing of mantras. So from the time of conception itself it is to be made pure through samskaras like pumsavana, simanta and so on. There are samskaras with the same objective also after the boy child is born. The vocations have to be properly divided for the welfare of mankind. If everybody paid attention to this fact, instead of talking of rights, it would be realised that the sastras have not discriminated against women or any of the jatis.